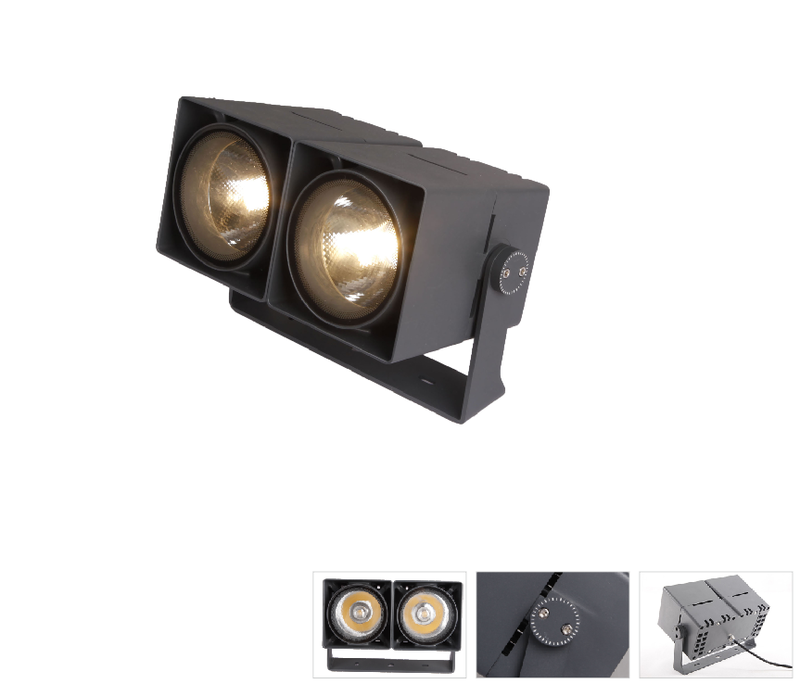 452 Stark series is one compact and multi-functional LED projector, waterproof structure is adopted, IP66, whole aluminum die-cast housing in durable corrosion resistance, anti-fading and anti-scratch electrostatic powder coated finish. Imported high efficiency COB LED light source ensure great consistency of the CCT. The Stark series includes 4 types: single head, double heads, three heads, and four heads options. Applications: Outdoor & Indoor facades, billboard, Architectural lighting etc.